The Hoka Clifton 4 provides an abundance of cushioning and comfort to help you maximise both focus and performance. 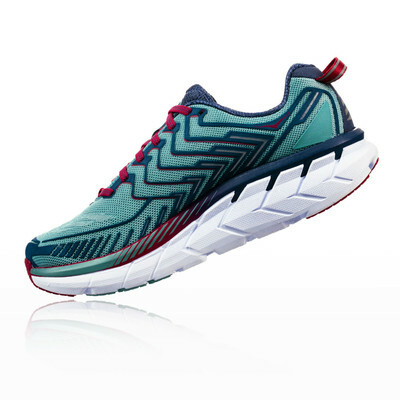 An open mesh upper encourages cool air to circulate, creating a drier, healthier environment for your feet to thrive in. EVA resides in the midsole, ensuring the aforementioned cushioning keeps your feet cushioned. 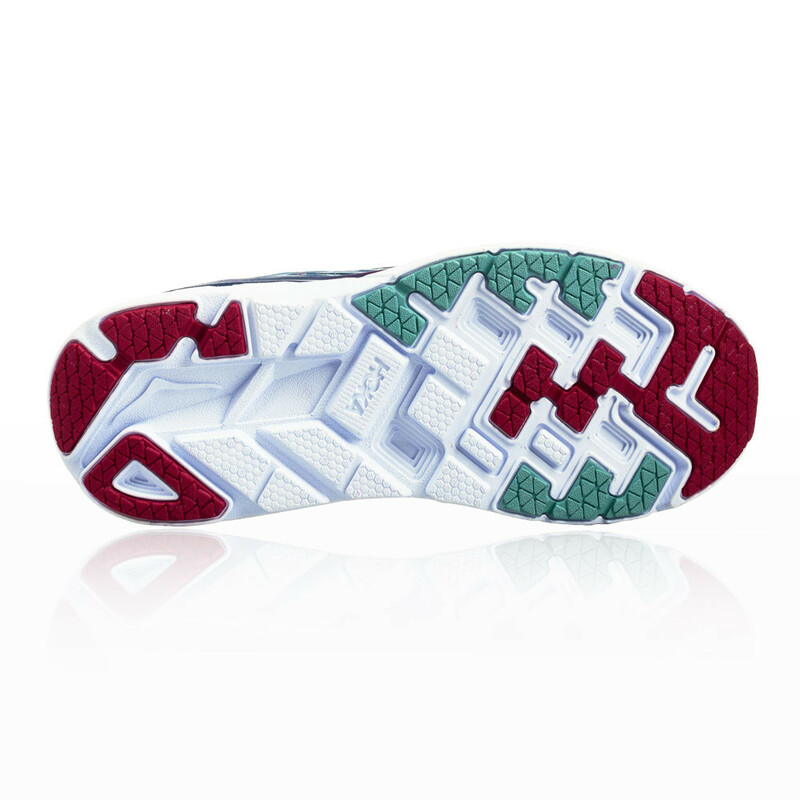 Rounding off the Clifton 4 is a grippy outsole, for optimal grip and traction. 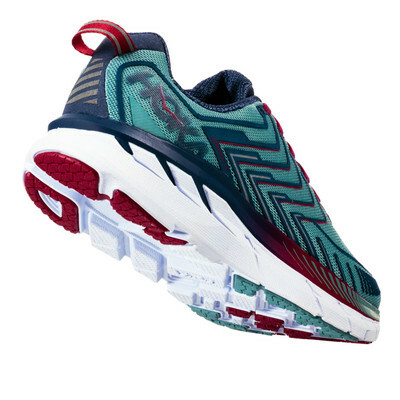 "Comfy ..Great running shoe for pavement pounding"
"Seem very comfortable and light, just what I was looking for"
Open mesh uppers will encase each foot in breathable comfort. Perforates in the fabric increase airflow; creating a better, healthier environment for your feet to thrive in. A 3D Puff Print Frame wraps the shoe to supply lightweight support and structure, reducing in-shoe slippage to give you smooth, distraction-free strides. The moulded Ortholite sockliner lies atop a bouncy midsole to cradle you in moisture-wicking breathability. Its antimicrobial function means the growth of nasty-odour causing bacteria is inhibited, giving you and your gear that fresher-for-longer feel. A treat for your feet on longer distance days. 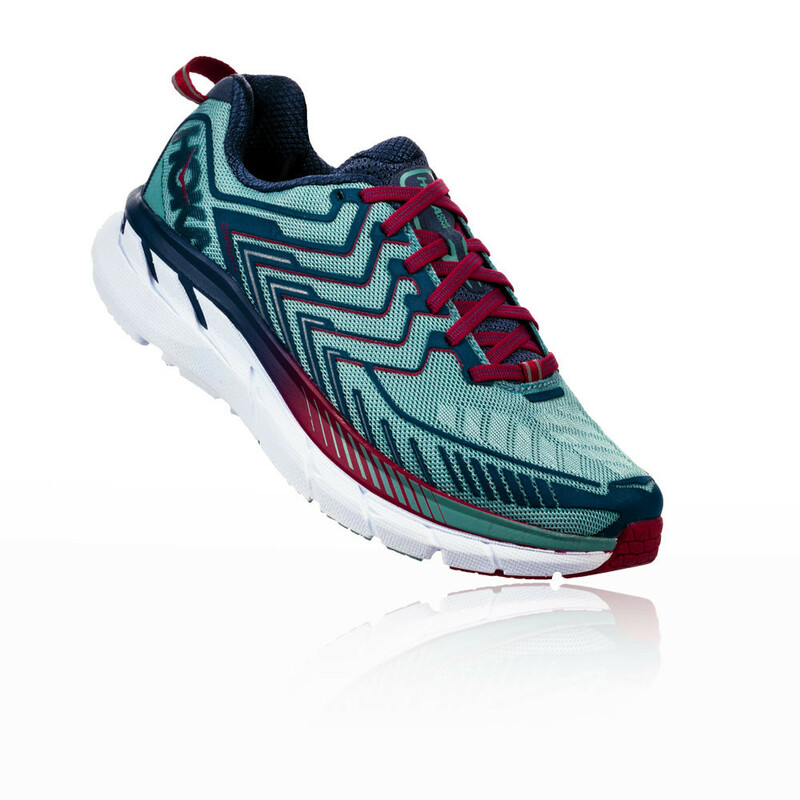 Early-stage Meta-Rocker geometry is applied in the midsole to increase running efficiency. Meta-Rocker midsole geometry is specifically designed with a low heel-toe differential and a sculpted outsole to create a unique fulcrum effect, like a rocking chair, to encourage a guided gait cycle. This design supports a runner's natural form while promoting an efficient, smooth roll from initial impact to toe off. In the Clifton 4, the transition zone is placed behind the metatarsal heads; this helps create a smoother ride and a faster transition to the forefoot. A full-length platform of EVA resides underfoot for lightweight, responsive cushioning. Generous, soft and durable, it spares your joints as you strike down onto hard, unforgiving surfaces. A moderate heel bevel helps to promote a smooth heel-to-toe transition; it enhances ground contact and unites with flat-waisted geometry to stabilise and support every stride. A grippy outsole with a full ground contact design completes the Clifton 4. Strategic hi-abrasion rubber zones adorn this; increasing the shoe's durability, reducing its weight and employing an updated lug pattern to supply enhanced traction on every road surface. Choose the Clifton 4, for updated speed, cushion and comfort. 3D Puff Print Frame - For lightweight, detailed support. Moulded Ortholite sockliner - An extra layer of hygienic, step-in comfort. Early stage Meta-Rocker - For a smooth ride. 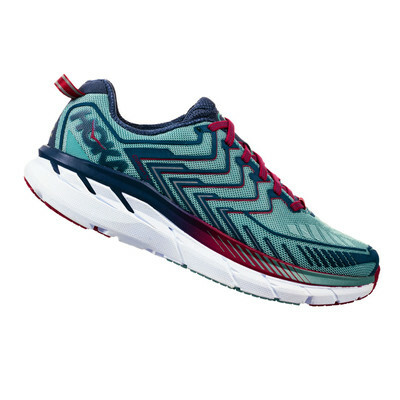 Full EVA midsole - Provides signature HOKA ONE ONE cushioning. Moderate heel bevel - Provides a smooth heel-to-toe transition. Flat-waisted geometry - Supplies inherent stability. Full ground contact design - For increased traction and stability. Strategic hi-abrasion rubber zones - To reduce weight and increase durability.